Annually over 30,000 dedicated Kansans share their time to provide athletes with the best sports, health, and life changing opportunities possible. 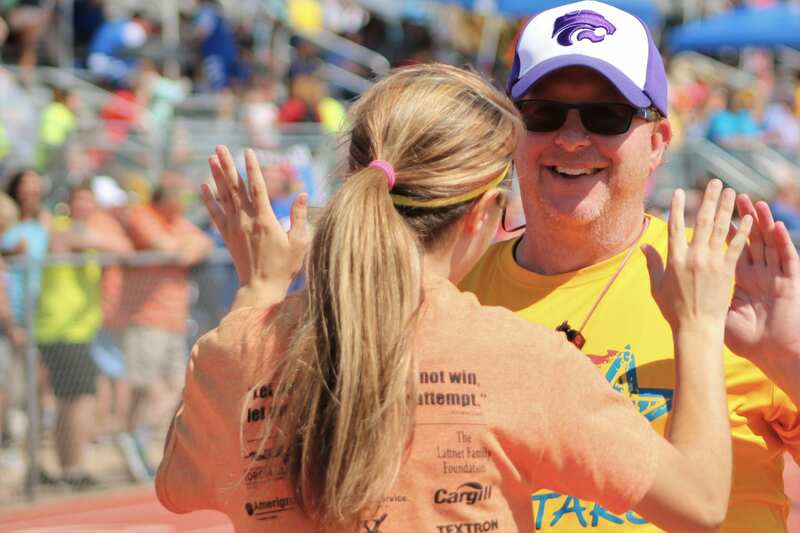 Special Olympics Kansas encourages the involvement of new volunteers who can share their talents in a variety of areas. Day of Event Volunteer– Volunteer at regional and state sports competitions. Four-hour commitment, no experience required, easy to register. VIEW OPEN POSITIONS BELOW TO SIGN UP!! Upcoming competition volunteer opportunities across the state. **Not all day-of volunteer opportunities are available for online registration. Click on the yellow Calendar button at the top left to view our other events and contact the Organizer to volunteer. Click on an opportunity below for more information. Contact Tim Rehder at rehdert@ksso.org for more information about volunteering at events. Come with a group or come alone. Share your enthusiasm or your talent. Whatever you choose we guarantee you will change two lives: your’s and an athlete’s!